Effective Call's To Action, or CTA's, guide your visitors to take action. This makes them a super important element both on websites and blogs, and on social media. Whenever you put together a post you should have a why. What is your reason for posting it? What action do you want people to take when they read it? Lead Generation- If you're blogging for business your main goal is to turn your visitors into leads. You're after paying customers/clients. An example of this kind of CTA is the one I use at the end of this post for my coaching services. Form Submission- I have an example of this type of CTA in the footer of my website. It's an invite to follow my blog posts. In this case the CTA is to "Subscribe Now". Visitors insert their name and email address in the form and get my future blog posts delivered to them. This particular type of CTA is a great way to keep potential leads in the loop. "More" Buttons- I have a lot of these on my homepage. These CTA's are great for when you offer a short teaser and want people to click through to "Find Out More". A lot of blogs use this type of call to action on their homepage. Variations include; read more, learn more, find out more, etc... This is a great way to make sure the individual post gets credited with it's own traffic and not just the homepage. Social Sharing- This is one of the easiest CTA's. Social media is a powerful tool for spreading the word about your content, products, and services. Adding social share buttons to your blog offers visitors a low commitment way to engage with your brand. Lead Nurturing- This is the process of developing relationships with visitors and turning them from potential leads to paying customers by offering them something to entice them. Examples of this type of call to action could be a free download or free trial. The Closer- This is your hard sales pitch. This type of CTA calls for immediate action e.g. "Buy Now"
When it comes to CTA's it's best not to over do it. A cluttered blog will not get results. Instead it's best to focus on just a few, clear, call's to action per page. Keep it simple and to the point. Be as specific as possible. 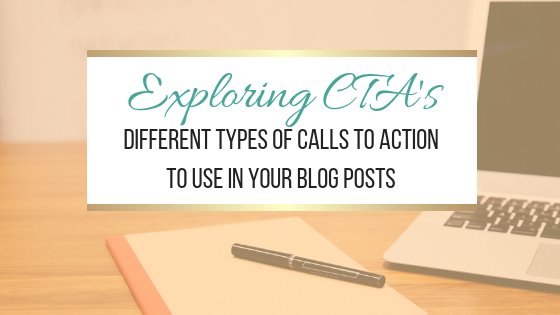 What types of CTA's do you find get the best results on your own blog? 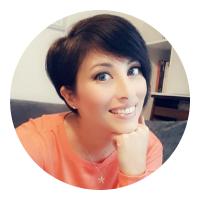 Looking for help with your blog? Struggling to come up with ideas, or need help with your branding, SEO, or website design? I can help! 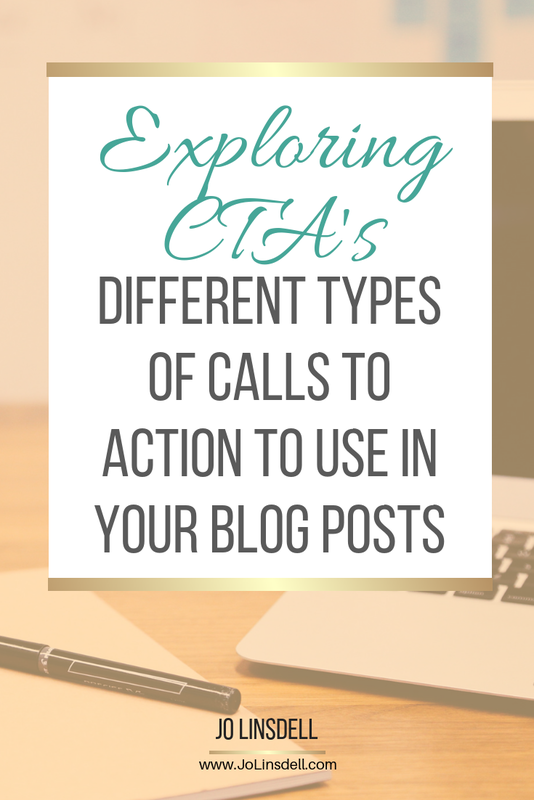 CTAs are super important in blogging. I've only recently started using them and I'm already noticing an increase in engagement :) Great post! The right Call To Action in the right place can make a huge difference to your ROI. Glad to hear you're already seeing an improvement in engagement thanks to using CTA's on your blog.